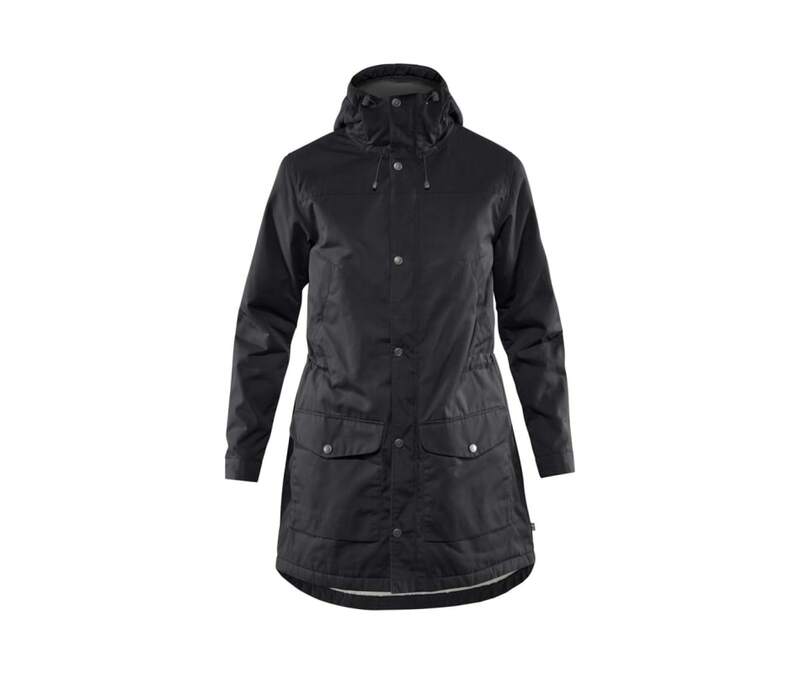 Long, lined parka inspired by the classic Fjallraven model from 1972. The perfect outer layer for the colder months of the year, just as suitable for everyday use as for outings in the forest or open terrain. Made from durable G-1000 Original that is wind and water resistant and can be waxed with Greenland Wax for extra protection against the elements. Warm teddy-pile lining in the hood, front and back. The sleeves have a synthetic padding and nylon lining to facilitate putting on/taking off. Two chest pockets with bellows suitable for smaller items, two hand-warming pockets plus two top-loading pockets at the hem. There are also two inside pockets, one of which has a zipper. Fixed hood. Front zipper has a protective flap with buttons. Synthetic padding and nylon lining in the sleeves. Two chest pockets with bellows for small items. Two hand-warming pockets plus two top-loading pockets at the hem. Two inside pockets, one of which has a zipper. Warm teddy-pile lining in the hood.